Where is This Located, Please? This is a screenshot taken about 3-4 minutes into the Peace Through Understanding DVD. I cannot ID which pavilion featured this image-changing display. Anyone know? What surrounds this? random clips? Wikipedia claims the lower left flag as representing Ghana from 1957 to 1962, and then being reinstated in 1966. If so, peculiar for a 1964-65 NYWF display. Interests:world`s fairs, Disney theme parks, travel, model railroading, sci fi movies, and television shows. Big fan of Star Trek, and Irwin Allen TV series. 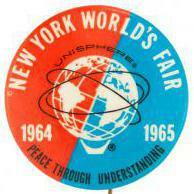 I`ve been to 9 world`s fairs, my first 1964 NY, my last Shanghai in 2010. I love finding new films for my world`s fair hobby. Most films I acquire, are availabe in my world`s fair film catalogue. Yes, this was a moving display in the US Pavilion at the `64 fair. I have a film from the Billy Graham Ministries titled "World`s Fair Encounter". The two principal characters visit the US Pavilion, and this display is shown. Thanks! I wonder what the story was. Mystery solved! No wonder I couldn't locate it. I had assumed it was on the outside of a pavilion. Actually, it looks like the clip in the PTU DVD was taken from this very film. It can be found here. Thanks, TOTHEFAIR! Thanks for the link. This is the first time I've seen "World's Fair Encounter". 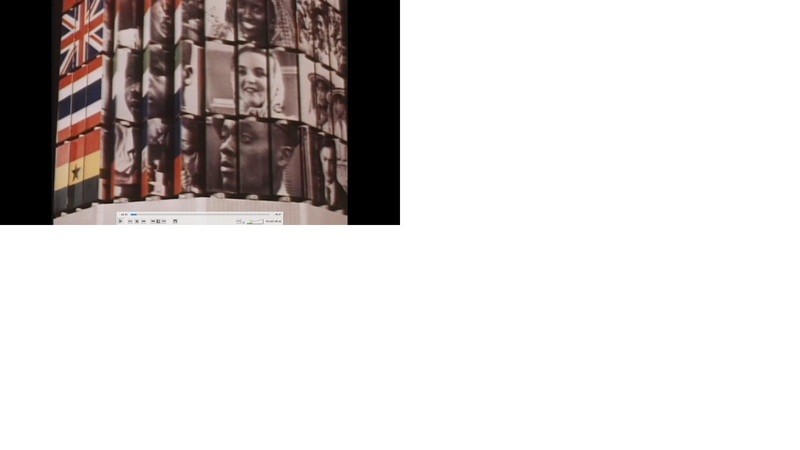 It has some of the best World's Fair footage I have seen in a long time (before it becomes a "movie" within a movie). Now I wonder (besides the principles) who else were actors in the first half. Hi. I am on the staff of the Billy Graham Center Archives, a department of Wheaton College in Wheaton, Illinois. As you mentioned, we do not have a copy of the film Man in the Fifth Dimension. However, in Collection 214 in our holdings (www.wheaton.edu/bgc/archives/guides/214.htm) we do have a copy of the script and production files. Anyone is welcome to view them in the Archives reading Room in Wheaton. Anyone in the area? It would be interesting to see what they have there related to the Fair. Perhaps some ID on the folks in "World's Fair Encounter"!